BRAZIL, THE LARGEST country in Latin America, endowed with abundant natural and human resources, had come close to realising its potential to be a great power many times in the past. But, the boom was followed by a bust. The last time Brazil was on the top of the world was during the golden years of Lula Inacio Lula da Silva's presidency from 2003 to 2010. From the heyday of socialism, Brazil has taken a right turn by electing Jair Bolsonaro as president. The election of Lula in 2002 was a historic moment for Brazil. He was a leftist who put workers and the poor on top of his socialist agenda. Yet, he turned out to be a darling of the businesses, too. He transformed Brazil with his Brasilia Consensus model of a balanced mix of pro-poor and business-friendly policies. Lula challenged the US hegemony in Latin America and killed the US-sponsored Free Trade Area of the Americas. He even tried to mediate in the issue of US sanctions on Iran. Such measures caused alarm bells to ring in the American deep state, which started plotting to stop Lula, Brazil and the Latin American left. Lula finished his second term with the highest approval ratings, and got his chosen successor Dilma Rousseff elected as president. But Rousseff lacked Lula's political skills. Moreover, the leaders of the Workers' Party succumbed to hubris and became corrupt. Rouseff was impeached for fudging the budget, while Lula was jailed in what was effectively a judicial coup led by Sergio Moro, a US-trained judge. The constitutional and judicial coups succeeded in instigating the public. This led to protests—some spontaneous and others sponsored—in the streets and on social media in the last three years. 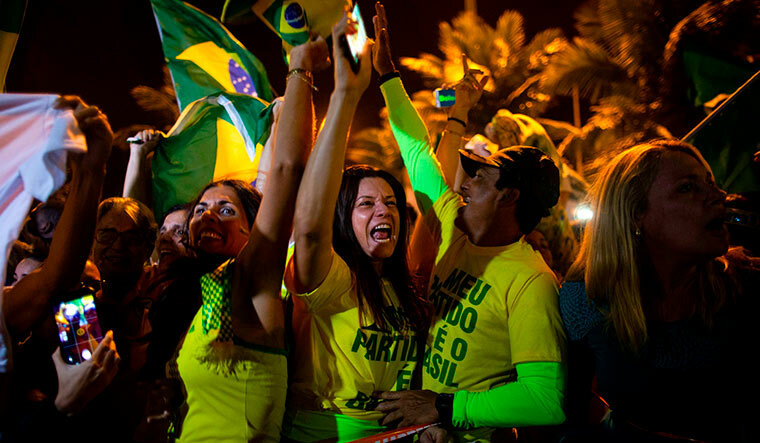 Bolsonaro capitalised on the voters’ disillusionment and managed to win the election. Bolsonaro has been a long-time congressman, who loves to glorify past military dictatorships and the atrocities they committed. He thinks they did not kill enough people. He once even spoke about eliminating all socialists and communists. According to Hamilton Mourao, his vice president-elect who is a former general, coups are justified if circumstances warranted those. Bolsonaro himself is a former army captain, and he plans to fill his cabinet and top administrative positions with generals. Bolsonaro is likely to bring back the Washington Consensus [a set of free market economic policies supported by prominent economic institutions like the World Bank, International Monetary Fund and the US Treasury] and reverse Lula's resource nationalism [an attempt by a state to exert greater control over its natural resources]. His nomination of Paulo Guedes, an economist trained at the University of Chicago as his finance minister, has confirmed that he will be following neoliberal policies. The pro-poor policies initiated by Lula would suffer budget cuts. Bolsonaro’s solution for poverty is “birth control of the poor”. Bolsonaro favours relaxing gun laws. He could give law enforcement officers power to kill drug traffickers and criminals extrajudicially. He proposes to relax environment regulations to open up the Amazon forest for farming and mining. He has even talked about pulling out of the Paris Agreement on climate change. Under his administration, the protection for indigenous people and minorities could be reduced. Bolsonaro is likely to implement the agenda of the evangelicals, who gave him solid support, on issues such as abortion and homosexuality. Bolsonaro, however, does not have a congressional majority. His Social Liberal Party has just 52 seats in the 513-member lower house of Congress and four seats in the 81-member senate. This could act as a check on his agenda. With his anachronistic and hate-filled approach, Bolsonaro could turn Brazil back into the bad old country of polarisation. Women, blacks, gays and leftists may become second-class citizens and subject to military style rightist rule. 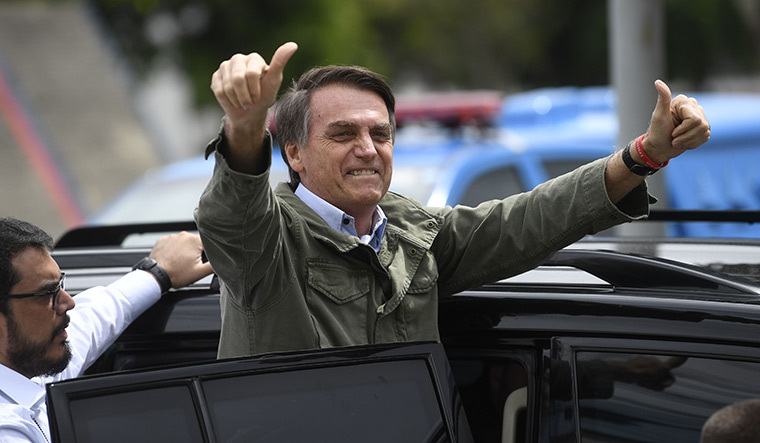 Bolsonaro's victory, however, should not be seen as the end of the Workers' Party. Its candidate got 45 per cent of the votes in the presidential elections, despite the corruption scandals and the short campaign time the party got after Lula’s candidature was rejected by the courts. If Lula was allowed to contest, he might have won as he was consistently leading the opinion polls. Known as Tropical Trump, Bolsonaro admires and often imitates the abusive and vulgar language of the US president. He is likely to follow Donald Trump's lead in foreign policy. With his “Brazil First” policy, he has ridiculed the UN as a gathering place of communists, and has threatened to pull out from the world body. He abhors multilateral and global commitments and prefers bilateral deals. He has promised to shift the Brazilian embassy in Tel Aviv to Jerusalem and close down the Palestine office in Brasilia. He would happily support the US attempts to change the chavista regime in Venezuela. It may be recalled that it was because of Lula's support that Hugo Chavez survived the 2002 coup attempt and continued in power till his death in 2013. Bolsonaro is likely to undermine regional alliances such as UNASUR (Union of South American Nations) and CELAC (Community of Latin American and Caribbean States). Guedes has already stated that Mercosur (the customs union of Brazil, Argentina, Uruguay and Paraguay) would not be a priority for Brazil. Bolsonaro will pay the least attention to Asia, Africa and the Middle East. He snubbed China during his campaign by making a trip to Taiwan. China has invested over $60 billion in Brazil and has extended a credit of more than $40 billion. Bolsonaro has criticised the Chinese acquisition of Brazilian assets. China is Brazil's largest trading partner and export market. In 2017, Brazil's exports to China were worth $47 billion as against $27 billion to the US. It enjoyed a trade surplus of $20 billion with China in 2017. Bolsonaro cannot afford a trade war with China, which can hurt Brazil by cutting imports. India, which has been cultivating Brazil as a strategic partner for the past two decades, should not have big expectations from Bolsonaro. Even before Bolsonaro, presidents Rousseff and Michel Temer had lowered Brazil’s international profile because of their domestic problems. As a result, proactive collaboration with India on global issues had come down. Bolsonaro is unlikely to work hard on IBSA (India, Brazil and South Africa) and BRICS (Brazil, Russia, India, China and South Africa). India, however, should look at Brazil beyond Bolsonaro, and adopt a wait and watch policy. For the moment, India should focus more on economic diplomacy. Brazil is the biggest economy in Latin America and India's largest business partner in the region with bilateral trade of $8.6 billion in 2017-18. With the pro-business Bolsonaro administration, the economy and the market could improve after years of corruption scandals, political crisis and economic recession. Consequent to the indictment of large companies such as Petrobras, Odebrecht and JBS in corruption cases, infrastructure and investment had been affected. Now these companies and projects could flourish again. Recently, Indian companies such as Sterlite and Sterling have entered Brazil's infrastructure sector with contracts worth billions of dollars. There is going to be more business and greater opportunities for Indian companies in Brazil in the coming years. The author is a former ambassador to Latin American countries.